Organization is one of those things that I've had to learn to love. As a child I wouldn't say I was necessarily messy, but I didn't appreciate how much smoother life could be if I took my time to stay organized. As a very busy "grown up" (ugh), I've learned that staying organized and picked up can keep my whole life running smoother. In the mornings - or whenever I'm in a hurry to get ready - I am always grateful that I've applied this "acquired taste" life lesson to my closet. I am fortunate enough to have been able to convert a spare bedroom in my house into a closet. Having this extra space allows me to stay super organized, but also creates an opportunity to have a fun space in my home where I can take my time getting ready, have friends hang out, and put a bunch of different looks together. 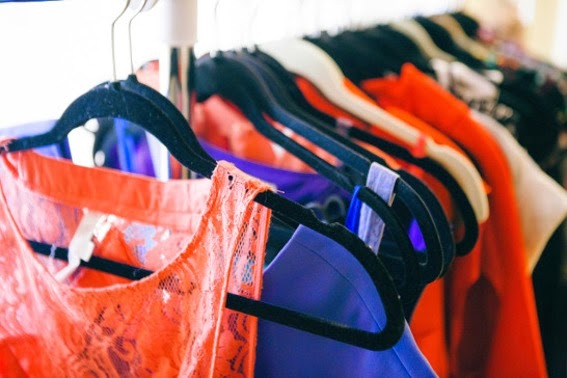 Keeping an organized closet helps my mornings to be a breeze!